Bulgarian language is the Slavic language spoken by the today's Balkan Slavs known by the name Bulgarians. To distinguish it from the language of the Asparuch Bulgars (Bulgar language), it would be better named Slavo-Bulgarian language, as it was refered to by the first writers of the new Bulgarian literature. Since today there is no other non-Slavic tribe with the name Bulgars, or if there is, it is so insignificant and distant from today's Bulgarians that it's impossible to confuse, we can boldly use the names Bulgarian and Bulgarian language to mean Slavo-Bulgarian people and Slavo-Bulgarian language. Although the first embryo of the Bulgarian state was made by a non-Slavic tribe (Bulgars), although the name of Bulgarians is from non-Slavic origin, everyone studying the language of Bulgarians will assure that it is as much Slavic as is, e.g., Russian or Serbian. The deeper study in the Bulgarian culture shows that today's Bulgarians cannot be separated from other Slavs and that their ancestors, together with the ancestors of Serbs, Croats, Russians, Slovenes, Poles, and Czechs, were members of the same Slavic tribe which some time lived on one territory. Moreover, Bulgarians showed their Slavishness before all other Slavs when as early as 9th c. were the first to create Slavic literature and spread enlightment in all Slavic countries. The modern Bulgarian language, in spite of some non-Slavic traits, is still pure Slavic language because if one looks closer into these non-Slavic traits, he will see that they arise from a common Slavic basis. Thus, modern Bulgarian is rooted in that common Proto-Slavic language which is thought of as the source of all Slavic languages. There is no consensus among researchers concerning the Proto-Slavic language and its position among the other Indo-European languages. Some consider it closer to the Iranic branch while others relate it more with the German branch. What is certain is that Proto-Slavic is closest to the so-called Baltic languages (Lithuano-Lettan and Old Prussian), and some time there was a common Lito-Slavic language, which contacted on one side with German, and on the other — with Iranian language. This follows not only from similarities between Lito-Slavic, German, and Iranian but also from the geographical position of the Lito-Slavs. Although much time passed since the Great Migration of the Indo-European peoples, we can say that the ancient neighbourhood is preserved even today between Lito-Slavs and Germans; today there are no other peoples also between Slavs and Arians (Armenians and Persians). Of course, similarity between different Indo-European languages does not come always from original kinship but also from later neighbourhood. For example, Albanian has similarities with Greek and Latin but it does not mean that it originated from Greek or Latin and not from some other European or Asian language; closeness is a consequence of long neighbourhood and nothing more. Therefore, it is very difficult to determine the original kinship of Indo-European languages, to draw a genetic tree, and to subordinate one Indo-European language to the others with respect to kinship because no one can be certain which language arose from the others. One sees that there is only a gradual transition between Indo-European languages and two languages always have a third as an intermediate and this third language has pronunciation traits from the 2 others. Indo-European languages are a closed chain and as parts of a common whole they always have something in common, however this communality is seen better between neighbouring languages then between more distant ones. Thus, Lithuanian is between Slavic and German, Celtic is between German and Latin (Italic), Albanian is between Italic and Greek, Armenian is between Greek and Sanskrit (Old Indian), and Zend (Old Persian) is between Sanskrit and Slavic. But which of those is older or younger, it is hard to say because all Indo-European languages arose fron one root, and if they differ it is not because some of them are younger and others are older, or some are more conservative and others are more variable. We tend to think that a people that speaks an older language is itself older. Still more confusing is the literature of individual Indo-European languages which in some comes from antiquity and in others is much later; seeing old monuments in some language, we tend to think this people older than other peoples which coincidently do not have such old literature. So it was at first with the well-known case of Sanskrit which confused the first European linguists with its ancient writings, was proclaimed as the oldest Indo-European language and was put as the basis of all languages from Indo-European root. At present, the charm of the Sanskrit antiquity faded somewhat because not everything in this old literature is as old as thought: comparative linguistics found such old traits, even older, in other Indo-European languages. Therefore, we can assert that Indo-European languages are related not as children, grandchildren and great-grandchildren of one father, but as brothers. This is understanding of the Indo-European languages of Prof. Brugman who in his comparative Indo-European grammar described the main Indo-European languages as 8 parallel branches: Arian (Indo-Persian), Armenian, Greek, Albanian, Italic, Celtic, German, Balto-Slavic. Indo-European languages take the largest territory and are spoken by most of mankind: almost the whole Europe, large part of Asia, Africa, America, and Australia. The name Indo-European languages comes from the fact that the bulk of these peoples lives in Europe and India. The name Indo-German languages was also used which meant that the peoples at the two borders of the group are Indians at the east and Germans at the west. The second name was used before it became known that Indo-Europeans are found to the west of Germans: these are the Celts in Brétagne and the British Isles. The name Arian, Arian languages is also used which shows that Indo-European languages originated in India because ária in Sanskrit (Old Indian) means 'fellow tribesman'. Most researchers use the name Arian only for the Asian branch of Indo-European languages, and some (Brugman) use it only for Sanskrit and Zend. Based on many reliable data from comparison between Slavic and Lithuano-Lettish, we can take for a proven fact that Lithuanians and Slavs lived together for a long time while the other related peoples lived separately from them. This relationship must be followed through in these languages and so to reconstruct the old Lito-Slavic language. This is the final objective of Slavistics which will be probably solved in the future. Before this, however, Slavistics must solve more direct tasks such as the relationships between Slavic languages in order to reconstruct the original Proto-Slavic language. The problem of the oldest Slavic homeland and the closer relations between Slavic languages has always concerned Slavic linguists, historians, and ethnographers but they have not reached a positive answer because reliable data are lacking. Some point to southwest Russia as far as the Black Sea, others — Lithuania, thirds limit these settlements to the north of Carpathians, and forths accept the lands of lower Danube as the first homeland of the old Slavs. The Czech ethnographer L. Nięderle points to Carpathians, and more exactly the plain to the east of Wisla, as far as Dnieper and the river Desna, and to the north as far as Smolensk. This origin of Slavs is very likely taking into account that the present Slavic lands are all around it and are situated on the whole periphery of this old homeland. Leaving aside the old Slavic homeland and considering the present relationships among Slavs, one sees that they occupy a large part of Middle and Eastern Europe and with their tribal divisions form a chain among which stand 2 non-Slavic peoples: Hungarians and Romanians. Comparing Slavic languages we'll see that here the pattern observed in Indo-European languages is reproduced, even more clear: a gradual transition from one language, one dialect, to another. The kinship of Slavic languages supports very well the theory of I. Schmid for the wave-like propagation of languages. However, this wavelike propagation of Slavic languages takes the shape of circles that are located on the periphery of a bigger circle into which center there is no longer a Slavic people because this center is occupied by foreign peoples (Hungarians and Romanians). To help imagine better the relationship and similarity of Slavic languages let us accept that these circles overlap, so between each two circles there is a common area where a transitional dialect is spoken. Indeed, between Russian and Polish there is Belarussian which has also traits of Polish language; between Polish and Czech there is Lužica-Sorbian dialect; between Czech and Slovenian there is Slovak dialect; between Slovenian and Serbian there is the Kajkavian Croat; and between Serbian and Bulgarian there are the Kosovo-Morava (transitional) dialects which have traits from both languages. The gradual transition between Bulgarian and Russian is somewhat interrupted by the fact that there is at present no such transitional dialect as between other Slavic languages — except Ukrainian which has more common traits with Bulgarian than with Russian. Still, the gradual transition is lacking probably because there were for a long time foreign peoples between Russians and Bulgarians which prevented the formation of a transitional dialect. Jagić  supposes that a transitional dialect existed also between old Bulgarian ancestors (Panonian Slavs) and Russians through the present Hungary and Romania. This suggestion is based on the many Bulgarian toponyms in Siebenbürgen. 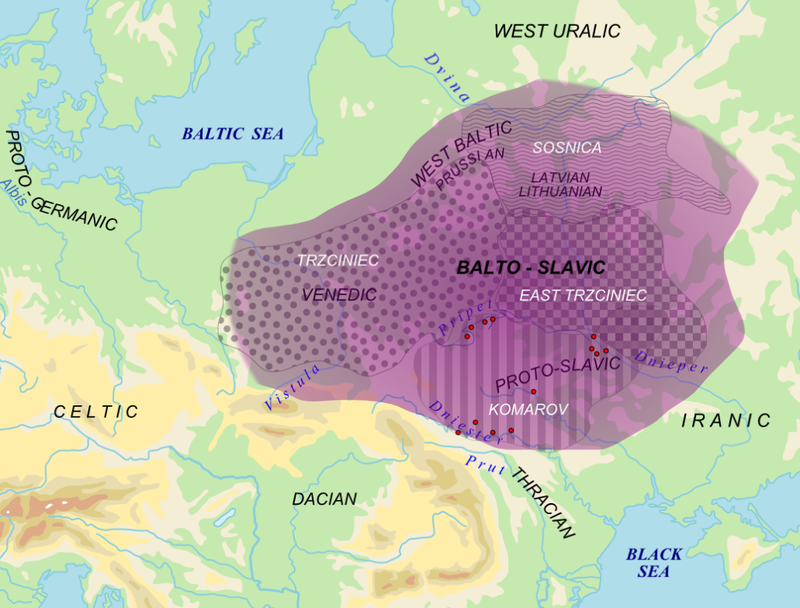 Oblak went further and supposed that the Bulgarian north-western dialects which have ч-дж instead of щ-жд are a continuation of the Carpathian Ukrainian dialect. 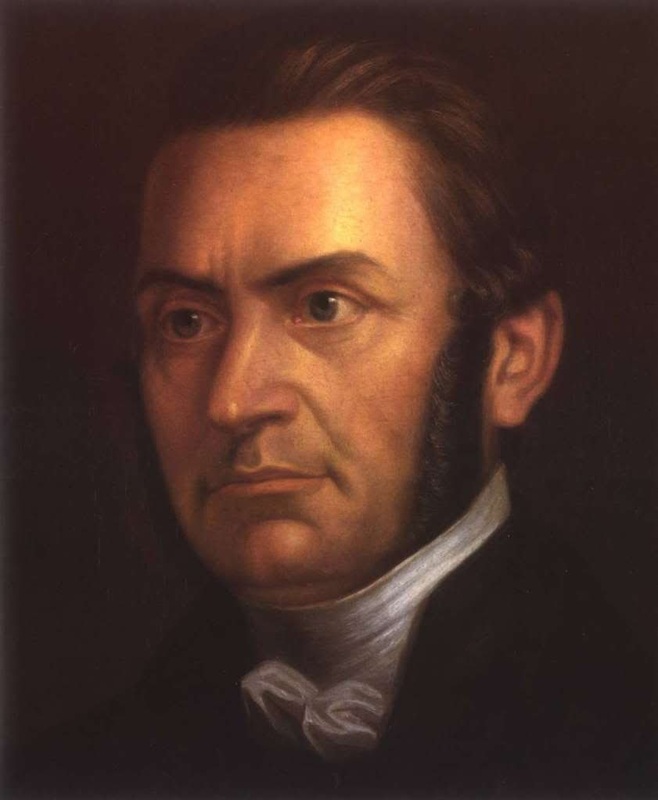 Jagić was a staunch supporter of the gradual transition between Slavic languages and did not accept any divisions between them because there is no abrupt border between neighboring Slavic languages and their traits intermingle. It is true that neighboring Slavic languages have so many common traits that sometimes they are hard to distinguish but this does not prevent their grouping in the same way as one groups dialects of one and the same language. It is another question whether to consider Slavic languages as languages or as dialects. Then the protest against the various divisions of Slavic languages makes sense because these divisions assume languages and not dialects. Indeed, having in mind the huge difference between dialects in German, or in French, it would be more correct to call Slavic languages not languages but dialects. Only the fact that almost all Slavic languages have long history, and established and developed their own literatures can justify the names Slavic peoples and Slavic languages. Otherwise, if all were united in a single state, if all had a single standard language, nobody would talk about individual Slavic languages, and we would have only Slavic dialects. But even so, when we begin to study these dialects, we'll have to classify them somehow in order to know them better. Therefore, comparing the modern Slavic languages, we must order them to clarify their relations and their mutual kinship, we must distinguish them somehow, after which we'll dwell some more on the situation of Bulgarian language among its related Slavic languages. There is no established opinion among Slavists about the classification of Slavic languages; not only there is no consensus about the basis for classification but also about the number of individual Slavic languages. Evidently, this despairs some, so they revolt against any classification. However, these attempts since the very beginning of Slavistics until now, even they did not give an end result, are important because they show how Slavistics gradually acquires "more knowledge both on the whole group and individual parts of Slavic languages" . Dobrovsky  after enumerating the 12 Slavic languages without classification in the dictionary of Catherine the Great Comparative Dictionary of all Languages, 1793, attempted to classify the Slavic languages on a scientific basis. He accepted two groups of Slavic languages: (1) Russian, Old Slavonic, Illyric or Serbian, Croatian, Slovenian, and Wendian (Slovenian in Carniola, Stiria, and Carinthia); (2) Slovak, Czech, Upper Lužician, Lower Lužician, and Polish. 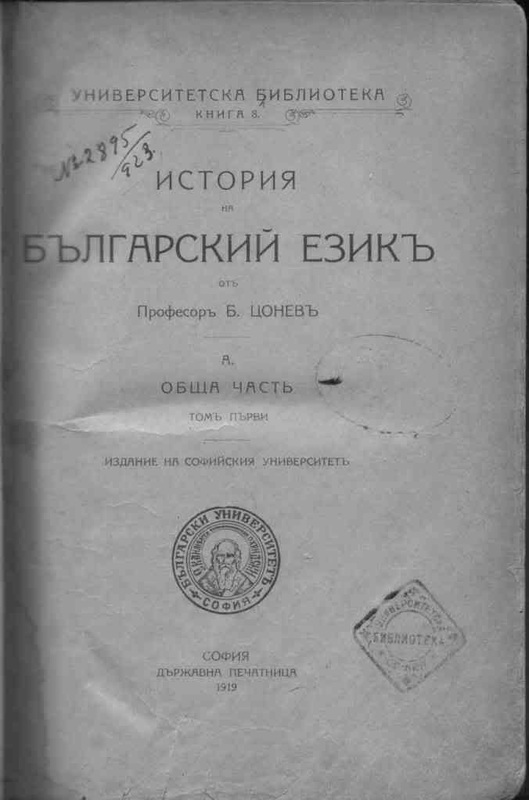 This first classification of Slavic languages was immediately accepted by all Slavists at that time and held for a long time with some ammendments and additions proposed by Vostokov. He omitted points 1, 2, and 9 because in Russian it is роз and вы, and птака; instead of those traits, Vostokov points that in the first group there is p, and in the second group — рж: рeч — ржеч. Later, Šafarik in  removed most of the 10 points of Dobrovsky and kept only 2 of them (3 and 4) and to them added also a trait that д and т are dropped in front of н in the southeastern group, and are retained in the northwestern group: вѧнѫти — vadnouti, but the groups remained the same as in Dobrovsky. This partition in two stuck in Slavistics especally when it was endorsed by Schleicher who accepted these three traits of Šafarik but he attached special importance to the tj and dj reflexes on which basis he made a more detailed partition of Slavic languages dividing the southeastern group in two: Russian and Yugoslavic, and then dividing the Yugoslavic group in three languages: Bulgarian (щ-жд), Serbian (ћ-ђ), and Slovenian (ч-ϳ); also, the northwestern group is divided in four languages: Czech, Polish, Lužician, and Polabian . Together with such partition in 2 groups, there were also opinions that Slavic languages can be divided into 3 groups. Palacky  wrote about eastern (Russians and Bulgarians), southwestern (Slovenians, Serbs, and Croats), and northwestern (Czechs, Slovaks, Poles, and Lužicians) Slavs. Before this, Vostokov had suggested an apparent tripartition ; describing the division of Dobrovsky, Vostokov expressed an opinion that Russian in some traits (вы, роз, птак) is intermediate between the southeastern and the northwestern Slavic group. Other Russian linguists followed Vostokov (Nadezhdin, Ustrelov, Maksimovich), who proposed with some variations tripartition instead of bipartition. The arguments of Nadezhdin involve a Russian feature that indeed separates this language from both the northwestern and the southeastern groups: it is the Russian vocalisation (Russian город vs. Yugoslav град and Polish grod). This phenomenon by itself is very important and characteristic but it is not certain if it is so old to be a basis for separation of Russian from the others, i.e., if this phenomenon is pre-Russian and Old Slavonic, or it arose on Russian soil. There are divergent opinions about this: Mikloshich , Jagić , and Krek  think that vocalisation is an old phenomenon but developed later on Russian soil, after the separation of Slavic languages while Maksimov , Lavrovsky , Gaitler , and I. Schmidt  think vocalisation is a pre-Russian phenomenon. However old, the Russian vocalisation (город) couldn't be older than, e.g. the Polish grod; if one takes examples as Volos from βλάσιος, паполом from πάπλομα , one can assert that город is not older than град. Even if one accepts the Russian vocalisation as basis for division, i.e., to separate Russian from the other southwestern Slavic languages, one must then place Czech among the Yugoslav languages, and put Polish in a separate group. All other traits of these languages go against such classification. Much more acceptable is the tripartition of Daničić , who takes as a basis a very old phonetic phenomenon, the tj, dj reflex in Slavic languages. These combinations were changed in a different way in each Slavic language and can serve as a distinguishing trait. 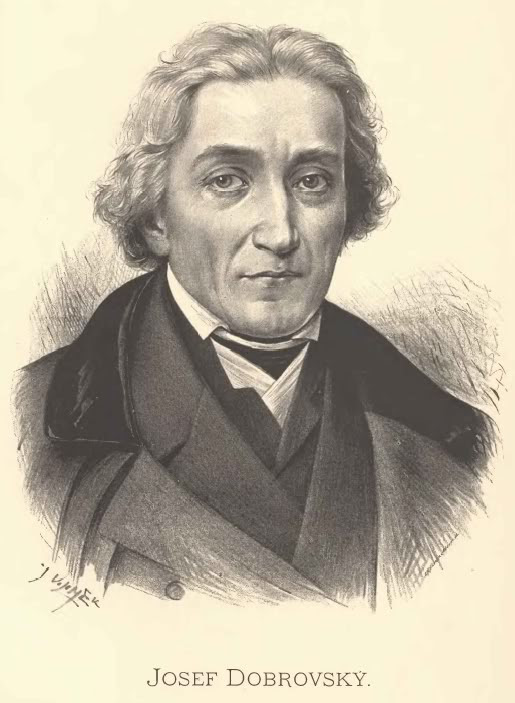 Daničić suggested that Slavic languages first separated in 3 branches: Serbo-Croatian, Russo-Bulgarian, Polish-Czech. Serbo-Croatian remained closest to the old combinations because ћ-ђ sound similar to tj-dj; the Russo-Bulgarian group changed the sound j after т to ш, and after д to ж; hence ч (тш) and (д)ж in Russian, and after metathesis — щ (шт) and жд in Bulgarian. The western Slavic languages changed j after т to с, and after д — to з; hence in Polish ц (тс) and дз, and in Czech ц (тс) and з (д is dropped). Leskin and Jagić objected to this classification as based only on one trait. However, Leskin, too, separated Slavic languages in three groups by only one trait, the accent, although he admits that the different accent systems developed in historical time. It seems, however, that a partition of Slavic languges is not superfluous but quite on the contrary, it is as necessary as any classification in science. 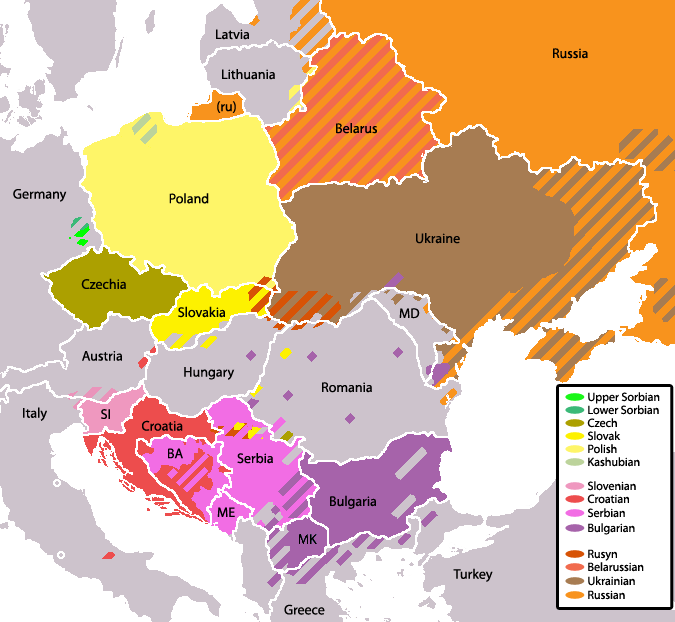 As one can speak about grouping of dialects in some more or less living language, one can speak also about classification of Slavic languages; such classification is even more legitimate because there are indeed some traits that make us accept 2 or 3 separate groups of Slavic languages. Maybe the differences that are found in the modern Slavic languages were not so big in earlier times; however, observing them today we need to stress them; according to the nature and occurence of these differences we'll have one or another classification of the modern Slavic languages. Let us at first solve the question about the basis of classification. We mentioned above that phonetic differences between Slavic languages can serve as a basis for classification because they are older and are more characteristic. Accent is considered a phonetic difference because it is a phonetic phenomenon involving the vowel sounds. Lexical differences can also be used but those must involve a large number of words, and not only 3-4 words, as accepted by Dobrovsky (cf. points 1, 2, 7, 8, 9 and 10 of his classification) and his followers; in addition, as we noted, these words are not partitioned as Dobrovsky alleged but somewhat differently; e.g. while Dobrovsky assigned the words роз, вы, птак only to the northwestern group, it turned out that they are found also in the southestern group (in Russian). Excluding, therefore, the lexical differences, out of the 10 classification traits of Dobrovsky, only 4 are left which are purely phonetic and should be taken into account for a classification basis. Let us add to these 4 the pronunciation of soft р (реч and ржеч) which was suggested by Vostokov, and the dropping of д and т in front of н proposed by Šafarik; then we'll have 6 important phonetic traits which could bolster a well justified classification of Slavic languages. To these 6 traits we can add 2 more, maybe comparatively newer but not less important. One of those is the accent which in the south-western group is indefinite (on different syllables) while in the north-western group it is definite (on one and the same syllable). In addition to accent which makes the 7th distinctive trait, we can add also the replacement of ъ: while in the south-western group ъ is replaced with a hard vowel (ъ, о, а), in the northwestern group ъ is replaced by е and therefore passes to the soft vowel category although this e still keeps its former origin. The replacement of e with ъ in new Slavonic, as well as the replacement of о with ъ in Slovac are secondary and non-general. Moreover, we should note that Slovak – if we count it as a language, and not as a dialect – is not easy to classify also by some other traits; the reason is that it is at the middle between the 2 groups and therefore it is a transitional Slavic language in the same way as there are transitional dialects. In the northwestern group (Polish and Czecho-Slovak) instead of the old tj and dj there are hissing sounds (ц and дз in Polish and Slovak and ц and з in Czech) while in the southwestern group (Russian, Bulgarian, Serbo-Croat and Slovenian) insthead of tj and dj there are affricates: ч-ж in Russian, щ-жд in Bulgarian, ћ-ђ in Serbian, ч-j in Slovenian). In the northwestern groups linking of labials with j is allowed: zemia, while in the southwestern group in these cases a labial (softening) ль is inserted: землıа. Here it is meant the older state of Slavic languages when in Bulgarian was also землıа. In the northwestern group the soft ŕ or rj receives an accompanying sound ж, so that it is pronounced as рж: Polish rzecz, Czech řeč, while in the southeastern group ŕ or rj remains unchanged: реч. In the northwestern group we find these old sound combinations unchanged: Czech květ, Polish kwiat; Czech hvězda, Polish gwiazda, while in the southeastern group those are replaced by цв – зв (or дзв): цвѣт, звѣзда. In the northwestern group the dentals d and t are retained in front of l and n while in the southwestern group they disappear: on one hand radlo, sadlo, pletla, vadnouti, svitnouti, and on the other – рало, сало, плела, ванѫти, свьнѫти. In the northwestern group ъ is pronunced as an є-sound though different from the etimological є while in the southeastern group this vowel is hard: ъ, о, or а; in Czech and Polish deska, in Bulgarian дъска, in Russian доска, and in Serbo-Croatian daska. In Slovenian, although it is written deska, it is pronounced дъска. In the northwestern group accent is definitive, i.e. it falls on one and the same syllable, namely: in Czech – on the first syllable, and in Polish – on the penultimate syllable while in the southeastern group the accent is indefinite, i.e. it can fall on any syllable. Whatever exceptions there are, those are either new, or do not occur in the standard languages but only in dialects. Out of the 8 phonetic traits which we accept as distinctive traits between the 2 groups of Slavic languages, the most important for classification is the tj,dj reflex because it can be used for further classification. Indeed, this reflex not only distinguishes clearly the 2 main Slavic language groups because instead of tj-dj we have on one hand (in the northwestern group: Polish and Czech) hissing consonants (ts-dz), and on the other (in the southeastern group: Serbo-Croatian, Slovenian, Russian, and Bulgarian) affricate consonants (tš-dž) but furthermore, comparing the main Slavic languages again on this basis we see that the pronunciation of tj-dj separates them very well from each other; thus, we can always recognise Polish by its c-dz instead of tj-dj, Czech – by c-z, Serbo-Croatian – by ћ-ђ, Slovenian – by č-j, Russian – by ч-ж, Bulgarian – by щ-жд. In common Slavic svêtja – medja. I. In the northwestern group tj-dj give hissing reflex. II. In the southeastern group tj-dj give affricates. Of course, this classification does not prevent combining Slavic languages in other groups by some or other common traits; this could only help understand their relationship. Whatever we do though, the primary division in two will stand firm; first, because it is supported by very important and old traits, and second, because through it we obtain 2 groups of languages separated very well dialectally and geographically. Separated, because the few "crossovers" that occur here and there do not contradict the above classification because these crossovers occur either near the division border, such as, e.g. dl-tl in Slovenian which comes from neighbouring Slovak, or are later phenomena such as: да светна, да падна, земя, оставям, бракя in Bulgarian. However we classify Slavic languages, we must admit that the problem of their interrelationships is very difficult because it is interweaved with issues that have no positive solution. First of all, we do not know since when the Slavic peoples occupy their present lands and if their present location has always been the same; if not, how it has changed. Furthermore, we do not know the date of the various phonetic and morphological changes in individual Slavic languages and if, e.g. the same changes in 2 or more Slavic languages are due to living in a community, or as neighbours, or those arose independently. Thus, we see that both in Serbian and in Russian the Old Bulgarian ѫ is replaced with у; if we assume that this is because both languages are in the southeastern group then why don't we find the same replacement in Bulgarian and in Slovenian? They are in the same group, aren't they? Moreover, why do we find the same reflex in Czech, which is in the northwestern group? The same confusion ensues also when we ask why ѣ is replaced in Russian, Serbian, and Czech with e and ϳe while in Bulgarian and Polish this vowel is replaced with ϳa, although the last 2 languages are not from the same group. These questions can be answered somehow but it seems that in addition to individual reasons there should be taken account of the natural contact through neighbourhood – either hisorical or pre-historical. If it is always stressed that the present dialect traits in Slavic languages had arisen early in Proto-Slavic times, why shouldn't we assume for some identical traits in different Slavic languages to be a result of a previous neighbourhood of these languages, a neighbourhood that has thereafter been eliminated by historic events? Thus, the comparison of Bulgarian with other Slavic languages suggests that at some time Bulgarian had other other Slavic neighbours and not only Serbian as it is now. Indeed, if we take into account that Bulgarian Slavs were located at some time in the Hungarian plain, in Transylvania, Walachia, and Moldova, as is suggested by so many Bulgarisms in Hungarian and Romanian, we must conclude that in the past Bulgarian touched not with one language, as now, but with several; for it took the center of the circle of Slavic languages situated around it, the place that is now occupied by Hungarians and Romanians. Hence, some striking similarities of Bulgarian with Slavic languages with which it doesn't come in geographic contact. And indeed, the more we study the relationship of Bulgarian to other Slavic languages, the more we are convinced that Bulgarian, taken together with its dialects, contains in itself traits from all Slavic languages. Maybe every other Slavic language seems to be so encompassing if we start comparisons from it but still there are facts that give some advantage to Bulgarian in this respect. Thus, in addition to its undoubtedly central location until the arrival of Magyars in today Hungary and Transylvania, Bulgarian has also the advantage that its documental history dates from the earliest time when no other Slavic language possessed written monuments. Furthermore, the numerous Bulgarian dialects not only confirm with living examples what is conserved in written monuments but put it in touch with one or another Slavic language; because in Bulgarian dialects we find reflected almost all old and new phonetic traits of Slavic languages. This gives us a basis to conclude that many of these common traits between Bulgarian dialects and individual Slavic languages are an echo from the time when Bulgarian was in touch with those languages. One or two examples can explain what was said above. Bulgarian in its present area touches to the west with Serbian, and to the north-east – with Russian; thus it is natural that it has the most common traits with these 2 languages. This is really so, but while the similarities between Serbian and Bulgarian are easy to understand because these 2 languages lived many centuries next to each other, the similarity between Russian and Bulgarian cannot be explained by a present neighbourhood because in fact it dates since newer time, since some 180 years, namely, since the various Russian-Turkish wars when many Bulgarian youth from Eastern Bulgaria left their homeland to live in Russia. This new neighbourhood did not influence significantly the 2 languages, or if it did, it did it only locally, not affecting the deeper language structure. Therefore, the similarity between Bulgarian and Russian should be interpreted as a coincidence, or as a consequence of a former closer neighbourhood. The latter is more probable, because it is supported by other facts. Second. Bulgarian and Polish are now furthest from each other both in space and in language traits. In spite of this, these 2 languages keep an identical pronunciation of ѣ, the same pronunciation that is characteristic for Bulgarian from its written monuments. This similarity between Polish and Bulgarian is not accidental but dates from the time when these 2 languages bordered each other, and maybe even then they were as distinguished from other Slavic languages by this common trait as they are now. Some obvious similarities of Bulgarian with Slovenian and Slovak languages that will be described below, lead to the same conclusion that these languages which are now far apart, were close neighbours at an earlier time – thus, the amazing similarities among them. 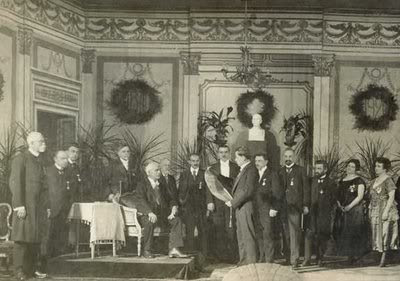 Ivan Vazov Jubilee in the National Theatre, 24.10.1920. Left to right: St. Stanimirov, Al. Radoslavov, Dim. Lazov, Prof. Benyo Tsonev, Iv. Vazov, Prof. Lyubomir Miletich, Dr. Mihail Arnaudov, Dr. Phil. Manolov, Stoyan Omarchevski, Hristo Tsankov - Derijan, Prof. Ivan Georgov, Stilyan Chilingirov, Adriana Budevska, Elena Snezhina. Before we go over to a detailed comparison between Bulgarian and other Slavic languages, we'll give a short summary of individual Slavic languages, with emphasis on their phonetic traits. tj and dj are pronounced as ч and ж: свѣча, межа. ѫ reflects in у: рука, мука; ѧ reflects in я: мясо, ряд. Russian vocalisation: instead of ра and ла that arose from older or ol, in Russian we have оро, оло: борода, голова instead of брада, глава; also, in Russian we have instead of рѣ, лѣ (from the ancient er, el between consonants) – ере, еле (or оло): дерево, железа, молоко. In Russian unlike any other living Slavic language, the old pronunciation of ъı, written ы, is preserved: сын, мышца. ъ and ь which are pronounced as vowels, become о and e: плотно, день. Old Bulgarian interconsonant ръ and лъ keep their old original form (ор-ол, ер-ел, ро-ле, ре-ле) only in Russian: торг, волк, зерно, кровь, плоть, крест, слеза. In most Bulgarian dialects this form has reflected very long ago: тръг, влък, зръно, кръв, плът, кръст, слъза. The accent is old, undefined. tj and dj are replaced with ћ and ђ, pronounced as very soft чь and джь: свећа, међа. ѫ reflects in у: рука, мука; ѧ reflects in е: месо, ред. ъ is assimilated with ь and both are pronounced as а: даска, дан, лан. ръ and лъ (interconsonant) are pronounced as р̥ (vowel)̥ and у: прст, суза. л at the end of syllables is vocalised as о: пепео, криоце. The accent is undefined, however, in Serbian it is regularly shifted forward by one syllable. Serbo-Croatian is divided in 3 dialects according to the pronunciation of чьто: Shtokavian, Chakavian, and Kajkavian. Shtokavian is spoken by the true Serbs, while Chakavian and Kajkavian comprise the Croatian language. tj and dj are replaced with ч and j: свеча, меjа. ѫ reflects in о: рока, мока; ѧ reflects in е: месо, ред. ъ is assimilated with ь in a dark sound ъ which is written as е: bez, deska, den, len. ръ and лъ are pronounced as vowels р̥̥ and л̥: prst, slza. The accent is old but very much mutated. There is tonal accent but it is new and long vowels are only the stressed ones. tj and dj are pronounced as ц and дз: świeca, miedza. ѫ retains its original pronunciation as оⁿ (written ą ) and ѧ retains its pronunciation as eⁿ (written ę ); however they are exchanged sometimes so that instead of ѫ comes eⁿ and instead of ѧ comes оⁿ. It is usually accepted that long ѫ and long ѧ give оⁿ while short ѫ and short ѧ give еⁿ: dąb – dębu (дѫбъ, дѫбѹ), wiązać (вѧзатн), pęto (пѫто). ъ and ь are replaced with e and ie (soft e). ръ and лъ are pronounced as ro and lo: gród, wrota, glowa. ѣ is pronounced я or е as in the Eastern Bulgarian, depending on its location; ѣ is reflected not only before soft syllables but also before labial and pharyngeal consonants: kwiat (flower), źelazo, biały – but: bielić, liewy, chleb, świeca, grzech. Specific softening of consonants resulting on more hissing and affricated sounds than in other Slavic languages; thus, in addition to soft ŕ giving rz, all d and t before soft vowels give dz and c while z, s, c give ź, ś, ć: miescie (мѣстѣ), kość (кость), jeźdźić (ıаздить). Accent is defined and falls on the penultimate syllable. Kashubian and Polabian dialects are affiliated to Polish; Polabian is no longer spoken. tj and dj are replaced by ц and з (c and z). ѫ gives u or ou depending on whether it is short or long: ruka, soud. ѧ gives ě, í or a, á depending on whether it is short or long and whether it stays before soft or hard syllable: pět' – páty, svaty – světiti, kníže (кънѧsь). Besides, the length of Czech vowels does not correspond to the supposed Proto-Slavic tonal accent. ръ and лъ are reflected differently – either in vowel r and l: brv, krv, hltati, or in re, lu: krev, slunce. ѣ gives ě or í depending on whether it is short or long: běl, bědny, tělo, víra (faith), lěto (summer), mlíko. The same reflexes occur also with ѧ and ia (я). Long o gives u which is written ů: vůle, nůž. ю (ju) reflects in i or í depending on whether it is short or long: klič, jítro. г is pronounced as h: hlava, hora (forest). Soft ŕ gives чж written ř: břeh, dřevo, moře, tvořiti. Accent is definite and always falls on the first syllable. Tonal accent is present and is relatively new phenomenon. Slovak language is usually affiliated to Czech but it differs mainly the reflex of dj in dz, ъ and ь reflect in o and e, there is no ř, the tonal stress is not the same as in Czech. Affiliated to Czech are 2 Slavic dialects – Upper and Lower Lužician which are spoken in Saxony and Prussia. This short characteristic of Slavic languages shows their phonetic variety which sometimes makes it difficult to find unifying traits. Shown here are only the very old traits that distinguish the 2 languages. For a fuller description of the linguistic borders between Bulgarian and Serbian, see the article on borders of Bulgarian language. Serbian, namely, and not Serbo-Croatian, first, because Bulgarian touches only to Serbian and not to Croatian dialects; second, because in respect to Bulgarian, we should differentiate between Serbian and Croatian. As we'll see, the "Croatian" dialects (Kajkavian and Chakavian) in some traits are closer to Slovenian and Bulgarian than to Serbian. d) the reflex of ъı in и developed together with other reflexes specific for Serbian (ѣ = e, ь = ъ, ѫ = у, ѧ = е) while in Bulgarian these are either lacking or came by impulse from the west. 2. ѧ = е. Both in Bulgarian and Serbian the Old Bulgarian nasal ѧ reflects in the same vowel е – of course, if we ignore those old reflexes (йъ, йо, я) found in Bulgarian dialects. Because the reflex in е now is common for all western Bulgarian dialects while the other reflexes occur only in Eastern dialects, it is very probable that the reflex ѧ = е also comes as a continuation of the Serbian reflex for this vowel. This is even more acceptable taking into account the Russian reflex я and the Croatian-Slovenian reflex а (after palatals). Therefore, the ѧ = е reflex comes into Bulgarian as a wave from the west, as well as the ѣ = е reflex which at present takes only the western half of the Bulgarian language territory. Accepting this continuity, likewise accepting everything common between Serbian and Bulgarian, it cannot be excluded that such ѧ = е reflex may have arisen secondarily on Bulgarian soil. 3. ѣ = е. This is the third phonetic similarity between Serbian and Bulgarian. Because half of Bulgarian still keeps the old pronunciation of ѣ (as я) and only the western dialects reflect it in е as in Serbian, the comparison by this point only confirms what was said above on the direction of phonetic reflexes – they go from west to east, from Serbian to Bulgarian. The same is true for the reflex of ръ in Serbian and Bulgarian. 4. Future tense is made by the same auxiliary verb хощѫ (to wish) in both Bulgarian (ще) and Serbian (ћу, ћеш, ће, ћемо, ћете). This trait is common only for Bulgarian and Serbian, while Croatian and Slovenian use for this purpose the verb бѫдѫ. Probably this trait have passed from Bulgarian to Serbian and this is why it does not occur in the other Yugoslav languages. In Bulgarian this trait is relatively new – it is lacking in Slavic languages other than Bulgarian and Serbian and has arisen on the Balkan Peninsula because it is common for all Balkan languages. 5. The infinitive is made by the conjunction да + finite verb in both Bulgarian and Serbian. Although such infinitive decomposition is not still fully applied, it is common in Serbian, while in Croatian and Slovenian it does not occur, or it is very rare. This analytical trait is also due to Bulgarian dialect influence upon Serbian because in other cases, too, we observe much greater trend toward analyticity in Bulgarian than in Serbian. With so few common traits, the difference between Serbian and Bulgarian seems great; but in fact, Bulgarian is closer to Serbian more than to any other language. This is so because the pronunciation of the other vowels and consonants is similar without the reflexes and palatisation that occur in the northern Slavic languages (Czech, Polish, and Russian). In Serbian and Bulgarian, and in South Slavic as a whole, there is no Czech reflex of ja into je and jí, no Russian vocalisation, no Polish-Russian ьо instead of e, while the phonetics is comparatively conserved and the words have few reflexes from their old pronunciation. There is something else which assimilates these languages even more: the great number of common words. The vocabulary and the morphemic complex is almost identical in Bulgarian and Serbian. In respect to its local folk vocabulary Bulgarian is undoubtedly closer to Serbian than to Russian, although the literary loans between Bulgarian and Russian approximated these languages, too. It seems incredible that conversational Bulgarian has 3 times more common words with Serbian than with Russian. This can be checked by comparing the same text in the 3 languages: while in an average page of Russian text, a non-linguistically educated Bulgarian finds 24 to 30 unknown words, in the same page Serbian text, he will find only 8 to 10! This lexical similarity and difference of Bulgarian with its 2 neighbouring Slavic languages is probably a result of more recent relations between Serbs and Bulgarians, which did not take place between Russians and Bulgarians. This multitude of common words makes Serbian better understood for Bulgarians and vice versa – Bulgarian for Serbs. The lexical similarity would facilitate very much the introduction of a common literary language between these two peoples if the political rivalry between them didn't reject any idea for mutual cooperation. Comparison of Bulgarian with the other Yugoslav languages or dialects – beyond Serbian – reveals curious facts, suggested above, namely, that Bulgarian did not have Serbian as a neighbour in the past. It is true that now Bulgarian and Serbian are the closest languages, but it is also true that Bulgarian has some common traits with Croatian and Slovenian that are lacking in Serbian. The group of Croatian-Slovenian dialects is a united whole, separated from Serbian, when compared to Bulgarian so they are taken together. And indeed these dialects have many common, old traits which distinguish them from Serbian and assimilate them to Bulgarian. Here, by "Croatian" are meant the 2 Croatian dialects – Kajkavian and Chakavian which by the tj-dj reflex are the same as Slovenian, which reflect in ч-j, and not in ћ-ђ, as in Serbian. 1. In Croatian-Slovenian in addition to the common reflex ѧ = e, there is also another reflex that is similar to the Middle Bulgarian Yus reflex, namely, after palatals (ж, ч, ш, and й) ѧ reflects in а, and not in е: jazik, prijati, žatva, etc. The same reflex шѧ, жѧ, ѩ occurs in many Bulgarian dialects: йъзик and язик, шътам and шатам, жътва and жатва. This trait does not occur in Serbian. 2. In Bulgarian, as well as in Slovenian and Croatian, the initial ѫ is pronounced with the objective в – вѫ: vos, vozel, vože, vohati, votek (in Slovenian) vs. ѫсъ (въси), ѫзлъ (възел), ѫжє (въже), ѫхати (въхам), ѫтъкъ (вътък) in Bulgarian. In some Bulgarian dialects, here and there, the archaic pronunciation without в is retained: ože, ozel – йъже, йъзол (in Ohrid dialect) and яже, язол (in Prilep-Mariovo and Bitola dialects). 3. In both Bulgarian and Croatian-Slovenian, the group чръ is not reflected: черно – črno, червей – črv, etc. while in Serbian чръ is reflected in цр: црно, црв. It is true that in many Bulgarian dialects the reflex чр = цр occurs but all these dialects are western, therefore, closer to Serbian, while in the more distanced dialects it is always чер and not цър. The only exception is the word църква which is pronounced so also in the east (together with черква) but for it we have the Old Bulgarian цръкъı. 4. The end-of-syllable л which in Serbian passes in о (рекао, пепео) remains unchanged in Croatian and Slovenian, as well as in Bulgarian. Also, the reflex of the interconsonant group лъ in у (вуна, жут) is not widespread neither in Slovenian, nor in Croatian. 5. The similarity between Bulgarian and Croatian-Slovenian is seen also in the inconsistent use of the epenthetic л. In this respect, Serbian is very strict, so that it has retained all cases known from old Bulgarian, and even has added new cases (снопље, гробље vs. снопнѥ, гробнѥ) while many Croatian and Slovenian dialects not only lack the new cases but also abandon the old ones; cf. spravjati, stavjati, zovjem, skubje in . 6. Similarity between Bulgarian and Chakavian is found in the pronunciation of words like веселje, каменje where we do not hear the fused Serbian љ, њ but the separate лj, нj which is characteristic also for Bulgarian dialects. 7. The accent between Bulgarian and Croatian-Slovenian is also similar, while in Serbian it is different although originating from older common basis. 8. In the pronunciation of ѫ as ô in Slovenian (and some Kajkavian dialects) we can find strong similarity with the Bulgarian Debar and Rup dialects where ѫ has the same reflex. 9. In Croatian-Slovenian, as well as in the Bulgarian southwestern dialects (Kostur, Lerin, etc.) щ is pronounced as шч and not as шт as in Serbian. This similarity is included here because the standard Bulgarian also came from an older шч which later became шт. Therefore, while between Bulgarian and Serbian there are only 2 or 3 phonetic similarities, between Croatian-Slovenian and Bulgarian in addition to the Serbo-Bulgarian phonetic similarities there are 9 others. Moreover, if we compare the similarities between Bulgarian and Serbian with those between Bulgarian and Croatian-Slovenian we see that the former are from more recent time and obviously passed from one language to the other while the similarities between Bulgarian and Croatian-Slovenian are of such nature that they cannot be accepted as new loans but are an evidence of older relationship between the respective languages. How to explain this similarity? Did it arise at the time when the Slavo-Bulgarian language touched to the Croatian-Slovenian directly on the Panonian plain or this similarity dates from later neighbourhood of Sloveno-Croatian (Kajkavian and Chakavian) and Bulgarian on the present Serbian lands before they were occupied by Serbs? The first hypothesis is supported by the fact that Bulgarian has some similarities with other Slavic languages that do not border it at present (Slovak and Polish) while the second hypothesis is supported by the fact that the similarities between Serbian and Bulgarian are from more recent time. It is risky to state a decisive opinion on this issue but from the many similarities between Bulgarian and Croatian-Slovenian it is clear that the dialect continuum among the Yugoslav languages is disrupted by the Serbian language and if we can speak about Yugoslav dualism in the sense so staunchly defended by Jagić , we are justified enough to support another older dualism, Bulgarian and Croatian-Slovenian on one hand and Serbian, on the other which is separated by the late arrival of Serbs and their wedging between Bulgarians and Croato-Slovenians. The comparison of Bulgarian with other Slavic languages leads to this same hypothesis that Bulgarian Slavs in their former location in the Panonian and Dacian area were close neighbours with Slovenians (and maybe Croats), with Slovaks, Poles, and Russians, while with Czechs and Serbs they were not in direct touch and this is why they have not common old traits. Slovaks separated Bulgarian from Czechs but where were Serbs so that they were not neighbours to Bulgarian Slavs, it is not known; it is probable that they were somewhere beyond the Carpathеs, and after the Slovenes (Bulgarian Slavs and Slovenians) and Croats settled their present lands, Serbs came between them on the Balkan Peninsula. With this, we accept that the Porphyrogenet evidence about the late migration of Serbs is true, and the opinion of Miklošić about the kinship of the present Bulgarian and Slovenian is acceptable as far as that in 9th c. they were just the same 2 Slovene dialects which are today the most Bulgarian щ-жд dialects and the southwestern Bulgarian кь-гь dialects, i.e. they were very close to each other but differed only in the tj-dj reflex; in Slovenian it was ч-j (and maybe also кь-гь), and in Bulgaro-Slovene it was щ-жд. The relationship between Bulgarian and Russian is totally different from the relationship between Bulgarian and Serbian. First and foremost, Russian and Bulgarian do not touch so closely as Bulgarian and Serbian; we do not have any evidence that they touched more closely through today Dobrudzha and Besarabia at any time in history. In spite of this, surprisingly we find more common traits between Russian and Bulgarian than between Serbian and Bulgarian. The similarities are of 2 kinds according to whether we compare the popular dialects or the literary languages of the 2 peoples; in the first case we find old dialectal similarities, while in the second one – literary loans after 10th c.
1. The same reflexes of the two ers (ъ and ь), ъ = о and ь = е: кой, кога, тогава; день, лень, темен. 2. In both Russian and Bulgarian we have the old indefinite accent (on varying syllables). 3. The tj-dj reflex, although at present it is not the same in the 2 languages, still it is similar and from the same origin if we start with older чч-дждж in the 2 languages. The pronunciation шч-ждж corresponds completely to the pronunciation of these consonants in the southwestern Bulgarian dialects: ишче, глождже, прошчене, etc. 4. The group чрь is pronounced in both Russian and Bulgarian as чер: червяк, червоточина, червив, черен, черника, чернило, черпиш, etc. This trait is not specific to only Bulgarian and Russian because as we saw, it is present in Croatian-Slovenian, as well as in Czech and Polish; but is is important when comparing Bulgarian and Russian because it is not present in Serbian although the latter is geographically closer to Bulgarian. 5. To the similarities between Russian and Bulgarian, we should add a trait that is specific to many Russian dialects – it is the postfixed article that is characteristic for standard Bulgarian: мужикот, дорогата, дорогуту, etc. Although the organic link between the Bulgarian article and this dialectal Russian form is not proven as suggested by Miletich , still this apparent similarity cannot be denied; this is mention of this similar trait is relevant. 6. Morphological similarity between Russian and Bulgarian is seen in the final т in 3rd person present tense, which is still retained in only these languages; 3rd person plural is common between the standard languages: стоят, лежат, and 3rd person singular is common between Russian and southwestern Bulgarian in which the end т is still present: стоит, лежит. All these common traits between Russian and Bulgarian are ancient and were not developed under influence of recent neighbourhood; they are a firm basis to suggest that these two languages have been more tightly connected in other time and in other place. And probably this was in the old habitations of Slovene-Bulgarians in Moldova and Transylvania. The other kind of similarities between Russian and Bulgarian are due to mutual literary influences. Therefore, these traits involve the literary languages of these peoples. It is known that together with Christianity, Russians took from Bulgarians a well-advanced literature. Begining in 10th c. and continuing through XVth c., Russian literature was fed entirely from the south, and therefore most Old and Middle Bulgarian literary works are now preserved in Russia. Even since its introduction in the old Kievian Rus, Old Bulgarian entirely seized Russian literature and did not step aside to Russian popular language for a long time. Under the powerful auspices of the Russian Church, Old Bulgarian not only persisted, unlike in other Slavs, but it gradually came into wider use and became a foundation for the Russian literary language although somewhat changed according to the specifics of Russian popular speech. In 17th c. either directly from Russia or through Aton, Bulgarian churches and monasteries began to supply books from Russia. Thereupon began the reverse influence – Russian on Bulgarian – although some literary loans from the north occurred even earlier. At first this influence was very limited as the Bulgarian literature itself was limited; but in time, the more widespread education and literature in Bulgarian, the stronger Russian influence on the Bulgarian literary language. Starting with Paisiy and ending with Vazov – all the best Bulgarian writers and poets obtained knowledge either directly from Russian schools, or from Russian books. Russian literature was and still is an abundant source of science and poetry. It is no wonder, therefore, that Russian traits are introduced in the Bulgarian literary language; it is perfectly normal to find many similarities between the standard languages of these 2 peoples. And because these similarities are relatively new – although they started as early as 10th c. – we can always trace them and show with great certainty what in Russian is Bulgarian and what in Bulgarian is Russian while these older similarities listed above can only be observed without being able to prove which is taken from where. Let us now see how Bulgarian is related to the northwestern Slavic languages, namely to their main representatives – Polish and Czech. Polish is very far from Bulgarian in everything; also in cultural aspect Poles seem to create a different world to other eastern and southern Slavs, and this have been so from time immemorial, as we have very few or almost no data about their participation in the wider Slavic writing and liturgy which were adopted so enthusiastically by all other Slavs. Of course, comparing Bulgarian with Polish we'll try to show an older similarity between these two languages, and not literary or cultural links of these peoples after accepting Christianity. This is very interesting since at first glance there is no kinship between Bulgarian and Polish. However, the comparison shows the following common traits which can be explained only as trace of a former close neighbourhood between the 2 languages. 1. ѣ = я, ꙗ. Both in Bulgarian and Polish the Old Bulgarian vowel ѣ has the pronunciation ıa (я): siano, wiara, wiadro, piana, piasek, wiano, želazo, kolano (read: желязо, коляно), obiad, wiatr, etc. Moreover, ѣ is reflected in front of soft syllables in the same way as in Bulgarian: wiara – wierzić, bialy – bielyć, miasto – miesćie, etc. Reflected, because Polish also starts from an original ea or я, as Bulgarian, because as long as it is known about Polish writing, this vowel has always had in Polish the same pronunciation as at present. Taking into account that the pronunciation of я for ѣ is characteristic for Bulgarian as early as 9th c. what else can we suppose other than this pronunciation was brought from the north by Bulgarian Slavs probably from a place adjacent with a Polish tribe since it is preserved today only in these 2 languages. It is noticeable that here, as in the pronunciation of ѣ, Polish is like the eastern Bulgarian dialects (together with the southern Kostur and Solun dialects). Since in Old Bulgarian ѫ, ѭ are more characterisic, Bulgarian southwestern dialects (Ohrid, Prilep-Mariovo, and Debar dialects) in this respect are closer to the language of Cyril and Methodius because in these dialects the initial ѫ is just iotified: ıъже, ıъглен, ıъзол (Ohrid dialect), ıаже, ıаглен, ıазол (Prilep-Mariovo dialect), ıôже, ıôглен, ıôзол (Debar dialect). Slovenian language is just as divided in this trait as Bulgarian: ož and vož, ozel and vozel, otroba and votroba, otel and votel (ѫтлъ = hollowed out). Also in Ukrainian and Belarussian, probably from Polish neighbourhood, we have in addition to у also ву instead of initial ѫ: уж and вуж, угол and вугол, усы and вусы, уда and вуда (ѫда = fishing-hook). 3. Nasal pronunciation of ѫ and ѧ. In the modern living Slavic languages the old nasal are nowhere as well preserved as in Polish and Bulgarian. True, this pronunciation does not occur in all Bulgarian dialects but we can allege with great certainty that nasalism has been kept in Bulgarian until much later than in all other Slavic languages (except Polish): until 13th c. Bulgarian writing used nasals very widely and we can accept that their use was based on the then living language. 4. To the above listed similarities between Polish and Bulgarian, one more can be added, which, although not as old as the others, is very obvious. It is the Polish accent, which is similar to the accent in one Bulgarian dialect – Kostur dialect. This similarity gets added importance if we compare it to another similarity of the Kostur dialect with Polish – the nasal pronunciation of ѫ and ѧ. One would ask in such comparison, does the Kostur dialect share an old kinship with Polish also in this trait, or is it just a coincidence? The development of Polish accent presents just the same mystery as the origin of the Kostur accent; does it mean they both date from the same time? An idea springs to mind when studying the Kostur accent – to explain the lack of accent signs in the oldest Bulgarian manuscripts with the fact that the dialect which was originally used as a basis for the Slavic literary language had a definitive, and more exactly, second-syllable accent, and therefore, there was no need for accent signs; otherwise, it is not clear why Bulgarian didn't imitate Greek manuscripts also in this aspect? 1. ъ = о, ь = е. The reflexes of Old Bulgarian ers in Slovak are the same as in Bulgarian: lož (лъжь), von (вънъ), voš (въшь), zamok, došol; den (дьнь), lev (львь), lest' (льсть), kupec (коупьць), etc. All right, but this trait can be interpreted very well as a later Ukrainian influence, and not as an old permanent trait; however, there is something that indicates a Slovak-Bulgarian community in this respect. It is the fact that in Slovak we find traces suggesting that ъ, before it reflected in о, had a dark reflex, just as in Bulgarian; because instead of the usual reflex ъ = о there are also а and е: moch and mach, rož and raž, dožd', dažd', and dežd', doska, daska, and deska; all these ъ reflexes point to one and the same dark and indeterminate pronunciation ъ, characteristic for Bulgarian and Slovak (dъska, tъšč, kъvъl, etc.). 2. ѧ = ä ( = йъ). The Old Bulgarian vowel ѧ is pronounced variously in modern Slovak: as ä, as ıa, and as e. It is not yet determined which is the original reflex here. Gebauer  points to ıa, Pastrnek  – e, Jagić , and Oblak  – ä. Of these 3 reflexes the best candidate for precursor is the sound ä, which is intermediate between the other two. But exactly because it is in the middle, it can equally well come either from Czech or from Ukrainian – the more so because this sound ä in Slovak is very widespread, and is a reflex not only from ѧ, but also from ѣ (väža, človäk, zemän, snäh), from a (vytapät', stavät, čäs, käd', gäjdy, kämen), and from є (mäd, jäzero). If it is proven that the reflex ä = ѧ is older than the others, it can be related to a similar reflex (йъ) in some Bulgarian southeastern (Rup) dialects, as well as in the Paulician dialect which is spoken in Bulgaria, Hungary, and Transylvania. Thus, we can properly compare the Slovak pät, mäkka, sväty, päta with пйът, мйък, свйътà, пйътà (Batak dialect) which are the immediate reflexes from пѧть, мѧкъкъ, свѧтъ, пѧта, from which later developed the Rup пьоат, мьоак, etc. We must note that the sound ä replaces in Slovak only short ѧ, and then only after labial consonants – otherwise ѧ is replaced by я or ıa – depending on whether this is short or long ѧ: klatba – kliat', pät – piatok, sviazat', riad, etc. Thus, if we start from ä, we must accept for я and ıa a subsequent clearing of the dark sound ä – either for tonal, or for assimilatory reason. The same clearing must have occurred then in Czech, as well as in Russian, while in Croat-Slovenian (excluding Rezian) such increase of ä to a was limited only to syllables жа, ша, їа, and ча, and the other cases developed towards e. In Bulgarian, the dark pronunciation of the palatal syllables is common (жътва, шъпа, йъзик) especially in the eastern dialects while the central dialects clear ъ into a (жатва, шапа, язик). 3. A nice similarity between Bulgarian and Slovak can be seen in the pronunciation of ръ and лъ which are reflected into their sonant character (irrespective of their old origin) in the same way as in Old Bulgarian, so that we have only: srna, vrba, črn, krv, črv, plno, slza, vlk, blcha, klka, žlč while in Czech in addition to srna, vrba, etc. we have červ, čern, and in addition to pln, vlk we have blecha, kluk, žluč, etc. The similarity consists in the fact that Slovak has preserved the same position of these sound groups which has been probably a common trait of the Sloveno-Bulgarian language in its first homeland, with the only difference that in Old Bulgarian (at least in writing) this position is expressed always with ъ after р and л: връба, влъкъ, кръвь, слъза. 4. The fourth simiarity between Bulgarian and Slovak is the partly preserved pronunciation of ѣ as ia or 'a: diavka, smiach, bl'ady, b'alo, bl'ačat (блѣıати), biada, hriach, neviam, vara (вѣра), caly, preciadzat', kviatok, chliav, driamat', liatat, poobliakal, priachrščia. Pastrnek , pp. 45-49, sees a Polish influence in ѣ = ia; however, they are more likely to be traces of old local ѣ = ia, because, if they were loaned from Polish, they would obey the Polish rule for ѣ, i. e., we wouldn't have examples as: smiach, hriach, priahrščia, neviam, driamat', obliakal, hliav, etc., which in Polish are impossible. Cf. also: capit', vravit', zabol'alo, l'av, l'ava, l'avo, bl'adý, sňat, neviäm, cadzit', caly, etc. 5. The fifth similarity is the same pronunciation of the group чрѣ, which both in Bulgarian and Slovak was extended in the so-called vocalised form; Bulgarian: череши, череп (or чиреп), черясло, черен (or чирен), черва or чирева; Slovak: čerešňa, čerep, čerieslo, čerevo, čerevička, čirida (balcony). 6. The verbs ending in овати are pronounced with ending ува, уват in both Slovak and Bulgarian (although in the Slovak conversational speech the ending ovat' is preferred): menúvat', darúvat'. Similar pronunciation occurs in some Ukrainian dialects, and in Old Croatian but this similarity is also obvious and, maybe, not accidental. 7. The seventh similarity between Slovak and Bulgarian is lexical; it is the many common old words that sometimes are amazingly similar in form and meaning. It is not surprising to develop a lexical similarity between two neighbouring languages, such as Bulgarian and Serbian: Serbs and Bulgarians lived for many centuries next to each other, had a common culture that was imposed either from one or from another side, so common words were constantly transferred. But when you find a word in Slovak which you thought occurs only in Bulgarian, you unwittingly linger on it and wonder if it is not a remnant from the time when Slovaks and Bulgarians (Sloveni) were closer neighbours. First Šafarik , pp. 98-99; 375-377 noted the fact that many Old Bulgarian words occur in Slovak and not in Czech, but a detailed study on this problem is lacking. The Slovak dialects contain many words and idioms that remind the former close neighbourhood and event unity between Slovaks and Bulgarian Slavs. This is characterised by the following words which occur in Slovak and Bulgarian, while in Czech they are either completely lacking, or have other meaning, or are very rare. 1. This word occurs in Czech but it is considered a Slovak word. 2. In Czech louža means 'stream'. 3. In Czech this word is archaism. 4. Otherwise the word mačka is used for 'cat' in Slovak which, as in Bulgarian, means both 'cat' and 'anchor'. 5. In Czech, it is sedmerka. 6. This word is found in Bulgarian dialects; in Czech, it is svoboda. 7. In Czech, it is vlkodlak. In Slovak very often verbal nouns ending in ица are used, just as in Bulgarian: mačkanica, motanica, metenica, dušenica, plieskanica, sušenica (dried cheese). Also interesting are the verbal adverbs ending in ačky: spiačky, stojačky, nechtiačky, etc. as in Bulgarian: стоячки, седечки, etc. This is only a cursory comparison between Slovak and Bulgarian vocabularies. But if the comparison goes further in the field of the intellectual and material culture of these two peoples, one would find more points of contact; there are many common fairy-tales, proverbs, folk customs, dances, plays, etc. Below is a list of many Slovak proverbs which have the same Bulgarian counterparts; some of them are so identical that they need not be translated, and all of them show how close is Slovak to Bulgarian. We dwelt more on Slovak because this language is not well known and because this exposition could interest some linguists to continue this comparison, which will convince us that what we call Slovak language was recently separate from Czech and Polish, and was much closer to the south Slavic group, and more specifically to Bulgarian language. 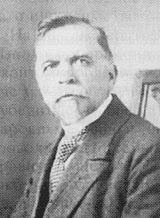 Many authoritative scientists supported such separate status of Slovak language (Šafarik, Maretić, Florinsky, and others), and some (Kopitar, Miklošić, and Dümler) go further – they allege that Slovaks have originally been Slovenians (Slovinians) that were later Czechized. Maretić alleged the same but Jagić countered this opinion saying that the Slovaks were closest to Czechs even in the 9th century . No one denies this closeness but it does not prevent the suggestion that in the 9th c. Slovak was more south Slavic than western Slavic language. First. Bulgarian Slavs before they settled on the Balkan Peninsula were located in their old abode at such place that they touched with Sloveno-Croats, Slovaks, Poles, and Russians, but they did not touch with Czechs and Serbs. In the modern Bulgarian language group I corresponds to the southwestern dialects, while group II corresponds to the eastern dialects, especially to Rup dialects. But it is very likely that there were more than 2 branches which by their subsequent crossing gave the present variety of Bulgarian dialects. The old and new situation of Bulgarian language, as in general the mutual relation of the main Slavic languages, can be graphically expressed with a chain of 6 circles, intertwined about a central 7th circle. The central circle could represent the old place of the Slavonic Bulgarian which at present is occupied by Hungarians, Romanians and Slovaks, and the 6 circles around it represent the main present Slavic languages which by their interactions produced mixed languages or dialects: between Czech and Polish – Lužician-Sorbian, between Polish and Russian – Belorussian, between Russian and Bulgarian – Ukrainian, between Bulgarian and Serbian – Kosovo-Morava dialects, between Serbian and Slovenian – Croatian, between Slovenian and Czech – Slovak. But Slovak today occupies a central position so that it touches to all Slavic languages as before, with the exception of Bulgarian. Once we consider so the position of Slavonic Bulgarian, the problem of the origin and the name of the Cyril and Methodius language becomes very clear; because whether it originated on the Balkan Peninsula or in Panonia, it is all the same because the tribe that spoke it, then occupied both Panonia and the Balkans. Only if we wish to specify together with its name also the place where the first Slavic writing was invented, we can, according to our conviction, call it Panonian Slavonic or Balkan Slavonic. However, both names point to the same Slavic tribe, the tribe from which the today Bulgarians arose. Copyright © 2009 Lyudmil Antonov. All Rights Reserved. Благодаря. Желая Ви приятно и ползотворно четене. Благодаря за статията и за политическата позиция на българия в нея. Струва ми се излишно да говоря за нещо за което зная че се счита за правилно само в България. Знаеш добре за какво става дума, па само ще обърна внимание на снимката коя си добавил с графичн обработка, коя май подобно е различна от оригинала (http://en.wikipedia.org/wiki/File:Slavic_languages.png). Интересно е и не съм знаел че бошняпкия, сърбския и хърватския се считат за отделни езици, а българския и македонския за един същ. Иначе, статията доста добре илюстрира вързката с останалите славянски езици. Уважавам мнението Ви, макар и различно от моето, в достатъчна степен за да отговоря. Относно разликата между български и "македонски". Както Ви е добре известно, "македонски език" беше изобретен през 1944-1945 гг. по политически причини. Няма сериозни лингвистични причини за такова отделяне на българските диалекти в географската област Македония от тези в останалата част на българската говорна област. Цялата литература преди Втората световна война описва тези диалекти като български и с пълно основание. Макар, че избягвам да се занимавам с политика смятам да напиша отделна статия с основанията "за" и "против" глосотомията. Относно отделянето на хърватски и сръбски. В статията са посочени доста лингвистични факти, които показват, че те са били винаги отделни, като различията са в самата им основа. Отделяне на "босненски език". Може би тука сте прав и няма достатъчни причини за такова разделяне. Ще се наложи нова корекция в картинката (Уикипедията не е характерна с достоверност) за премахване на "босненски" като отделен език. I AM IMPRESSED --- MOST POSITIVELY SO !!! Greetings from an American descendant of Bulgarians from Aegean Macedonia and Pirot ! Thanks, greetings to a Bulgarian heart! Ӏ've been to this site before but after reading through some of the post I realized it's neω to me. Аnyhow, I'm definitely glad I found it and I'll be bοoκ-marking and chеckіng bасk frequently! Excellent article. Very informative, interesting and well written. Very good use of examples and clear logical structure. Thank you for sharing this! i am french with polish origins with my grand parents, so i speak well polish as i have been to Poland several times and since a few i learn the basic of bulgarian because i have been to Bulgaria in June and i will be back in september again. it is very interseting to learn the bulgarian especially the conjugation which is differant. Thank you for the appreciation. Glad that I've been useful. I was originally searching for some information on "jať" and the origin of "ä" in codified Slovakian (see also https://sk.wikipedia.org/wiki/Dejiny_sloven%C4%8Diny ) when I was brought to your blog. I find your blog very interesting, but: if you want to compare languages to that extent, it would be better to become familiar with particular languages, especially with actual word forms. I am Slovak and I can tell you that more than often are your examples of Slovakian incorrect or completely wrong. The same could be applied for samples of Czech words (as I am older, I have spent my childhood in Czechoslovakia, so in the TV there was predominant Czech-spoken broadcasting). If that amount of mistakes should appear in other languages' samples, then most of the comparison here would go wrong, I am sorry. I am going to write you here some corrections, however, you could consider official Czech (http://ssjc.ujc.cas.cz/) and Slovak (http://slovniky.korpus.sk/) linguistic databases. I do not know anything about tonal accent in official Czech and Slovak. And if you mentioned Upper and Lower Sorbian, one can search closer affiliation also (or maybe better) to Polish. Your chapter "Bulgarian and (Czecho)-Slovak" is full of mistakes. When I read it once again, the amount of needed corrections is so long, that it would take two days to make it. So I wil not make it: if you have some special questions, then write it, please, here to your blog. I am very curious about what was your sources to Slovak... it has nothing to do with real official Slovakian language. As Slovak, Czech and also other Slavic languages have many different regional and local dialects, when you would like to compare "languages" as separate entities, then it is supposed to do with their official versions, isn't it? A wizard is in Slovakian "čarodejník" (in Čzech "čaroděj"), female wizard is "čarodejnica", while a witch could fit "bosorka". Then "veštica" is actually something like a fortune teller (in female, a male fortune teller is "veštec"). Invaluable is equally in Slovak and Czech "bezcenný". A milking cow is actually the same as in Bulgarian, i.e. "dojnica", however in Czech it is "dojnice". Christmas is "Vianoce (in Czech "Vánoce"), krčah is a jug. Slovakian has actually a word couple "za rána", but it has the meaning "in the morning", a morning is "ráno". And so on, and so on. It looks like you (or your sources) don't know what is Slovakian is. The same would be if one should say that there are not visible differences between Italian and Spanish or Danish and Swedish, that Dutch is the same as German, and finally, that Bulgarian is something like a dialect of Slavic Macedonian... all of this is simple wrong, you know what I am meaning by this. If you would like to give a real scientific value to linguistics, then – besides of using reliable sources – you should separate all ideological and political admixtures of the writings of respective authors or even scientists. It was (and is) not uncommon that results of linguistic (and especially historical) research is in the publications overshadowed by author's own political, ethnical, religious or other beliefs/opinions – but in the negative way. Please do not go that way. Your work is amazing and actually I believe that you did it with an honest intention. Corrections are needed, and, please, do not try to explain with linguistics problems belonging to archaeology and historical science. A political centre of the state (so-called Great Moravia) where Constantine and Methodius worked was in that Moravia (not Panonia), which is situated between Bohemia and recent Slovakia and politically it is a part of Czech republic. It would be interesting if you could compare Bulgarian also to Macedonian especially or to Rusyn, Ukrainian and Belarussian. Also I am surprised that you grouped Croatian with Slovenian and not with Serbian, but it's another question (and a lot of politics and worthless nationalism: see the whole chapter https://en.wikipedia.org/wiki/Serbo-Croatian#Present_sociolinguistic_situation ). Thank you for reading the text and corrections, which I will take into account. I will look and compare also the corpuses that you gave. They can be very useful as only a cursory look already found a new word to include in the table - Sk. jasnovidka -- Bg: ясновидка. The table itself should be much reworked because now, for example, SK-BG-EN words are mismatched for row sliding and some words are incorrectly translated in English. As I emphasize in the text, the comparison is focused on the OLD state of the Slavic languages and this is why many words are obsolete or not existing now in the modern languages. For example, almost 70% of the Bulgarian words given in the examples do not exist in the modern Bulgarian language or exist only in some Bulgarian dialects. It is so with the other languages, in particular with Slovak and Czech. For example, veštica -- veštkyňa -- čarodejnica and вещица mean "a woman who does magic, a witch", and that has been the old meaning in Slovak while the new meaning in Slovak is woman fortune-teller. кърчаг in BG is jug and the translation as beer-glass is incorrect. And so on. What is your opinion about the proverbs? Are there many errors in those? As I have also explained in the text, Croatian is compared with Slovenian because there are many basic features that show a common origin of these languages or close interaction in the past, and also interaction with Bulgarian before Serbian came between them and introduced new grammatical and lexical traits. Again, emphasis is in old traits, and not modern traits in the languages. As concerns Macedonian and Bulgarian, one of those is indeed a dialect of the other, but I leave to you as a linguist (or a person interested in linguistics) to tell which is which, taking into account the historical development of these language and dialect. You cannot divorce linguistics and history and expect to reach right conclusions. History and archeology give the objective direction for the comparison. For example, if the Rosetta stone has not been found, we would still think that the Egyptian writing is pictorial, and not alphabetic. If you are interested in the development of Yat, the posts "Bulgarian dialects" and "Solun dialect" in this blog give some more information. Still, the information is not complete enough, and I intend to write a special post devoted to Yat, outlining its origin (it is not Slavic), and development in time and space, and also in the various European languages (Bulgarian (very important for dialect division), Russian, Romanian, Slovak, Polish). Thank you very much for your explanations and hints to more information on Yat. Thanks. Not, I'm not a linguist. I publish in the field of botany therefore I would like to write here only some note to grouping of language varieties. Existence of a language as a separate basic unit is not equal to existence of a separate basic unit (a species) in biological taxonomy. You know it, differences are anchored in culture, and culture has somethign to do with history and politics. Yet, politics should not to come to linguistics as the latter should stay a scientific field only. And also personal beliefs (including to soem aspects of works of P. J. Šafárik, for example). When you look at Slovak dialect groups, one should say that the western one is so separated from eastern that they should be a separate "languages" ("the standard Czech is for me more understandable than some eastern Slovakian"). However, their users identify themselfs as Slovaks. And I think that a foreigner with knowledge of standard Slovak would consider some western Slovak dialect as belonging to Moravian ("Czech") group, not Slovak; however, it would not correspond to real nationality. All that I am trying to say is that a culture is the defining point for giving either the rank a "mere" dialect or the rank of language. One cannot to speccify a such rules for language taxonomy as for biological taxonomy, because cultural-linguistical features are more complex, different. That's why some languages could be more close than somewhere else some dialects of that language. Actually the most important thing is to protect regional varietes as they are going to die out and nothing of that diversity will be left, for example, for linguistic research. This is all I wanted to say to Slavic Bulgarian and Slavic Macedonian. I know, Slavs had a hard history and some forms of unhealthy Slavic nationalism is probably the result of it. However, we do not need it, really. No, in any way I would "divorce" history and linguistics. But the archaeology together with the historical documents (if they tell the truth: you know that some sources are less reliable) is the right science to prove, for example, at what time the ancestors of Serbians came and to which place. A scientific linguistics has not tools for it: and I think that it is not (and should not be) also the aim of the linguistics. In the blog above you referred not to relevant scientific sources. Today in Slovakia, there are also such people, that claims that Etruscans were in the point of fact Russians (EtRUScans, RUSsians). And in the base of "lingustics" thay claim that Slovaks are the oldest nation here in Central Europe and in the past they were connected with ancient Indian nations. One's head could go pop why are such people who would fight for that they are those ones, who is here the better Slav, the oldest Slav, whatever. If you aimed to compare the "old state" of languages, it would be much clearlier to write thoroughly to any chapter a subchapter and through the all text "Old Bulgarian", "Old Slovak", "Old Czech", "Old Ukrainian" etc. Or it is better to write "medieval"? And to which historical point? Thus the number of questions arises only when you would a comparison of "old states", for example of Slovakian. And how should one identify particular typography in the old documents with the real pronunciation at that time? When reading your blog, no one here knows, what source of Polish/Czech/Slovenian etc. you use for your comparison when you do not cite relevant documents and their date (and their evaluation from historical and linguistic point). And as to scientific research, better would be to look for and referr to original modern papers, not to very outdated (yet valuable) researches (or "researches") published long ago. So maybe it would be better to compare old Slavic traits and their final forms in recent Slavic languages, and then to write subchapters on their comparion to recent Slavic Bulgarian (on the base of old Slavic traits). That's a lot of work to do and much of it is done by you. But vocabulary is only one side, the grammar is the other. I don't see the point of that large space for "Czech is so far and Slovak so close", especially when in the history they were only closer and closer. Isolation of some words does not the whole work if one would not see the amount of identical or almost identical others. I reckon that if you were familiar with standard Slovak then you will understand also standard Czech to a good ratio. So Bulgarian is actually similarly close also to Czech. Just the sencences should be analyzed, not chosen words. Before some time I have read an explanation about some names in Liptov (a basin below the High Tatras), northern central Slovakia. And a German researcher said that they come from old Germanic, a Hungarian one said that it is surely from Hungarian, a newer research from a Slovak has finally shown relations to other Slovakian words. Therefore, a linguistic research is sometimes (or more often) not at all that linguistic and real. yes, there are also errors, in vocabulary, grammar or typography. However, their form should very depend on particular regional dialect from which they were collected (and respective collector). Peter, thanks for your constructive criticism. I will have this in mind when trying to improve and develop this article.